I just returned to Costa Rica after visiting family and friends in the United States. It was the first time I have been in the US for almost six years. Some things, like the beautiful scenery, never change. 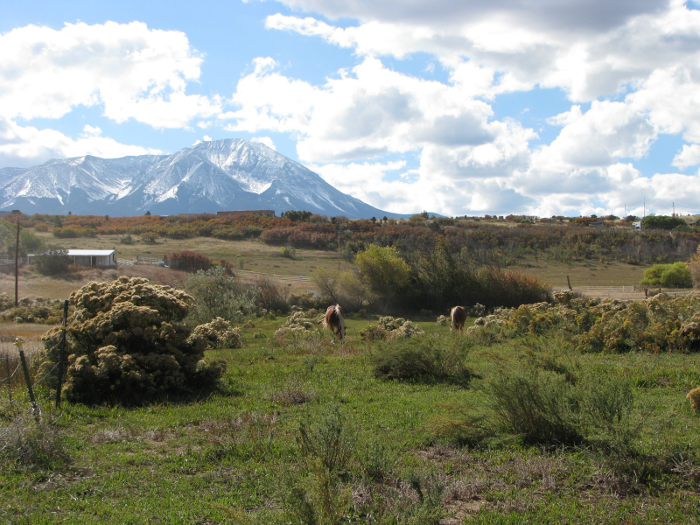 Above is a picture I took of my Dad's horses with one of the Spanish Peaks in the back ground. 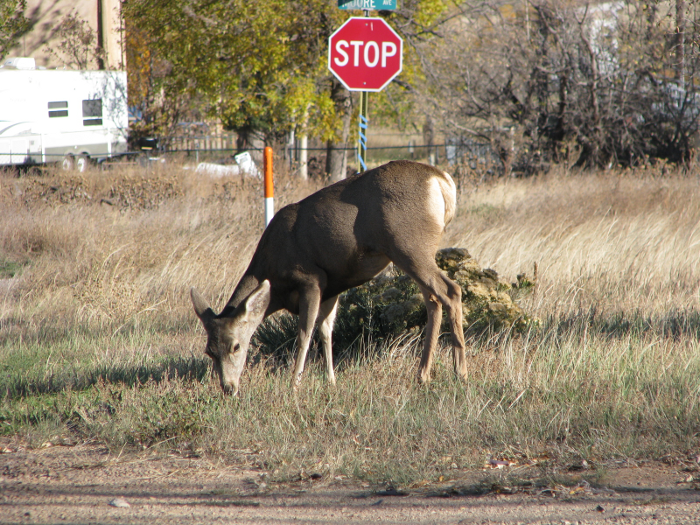 The deer are plentiful and tame in La Veta, Colorado. I would see several every day. Many of them resting next to the foundations of houses. 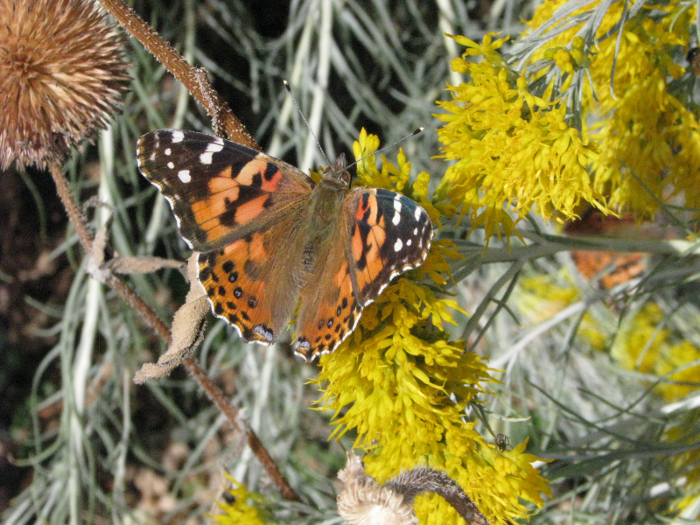 Colorful moths were abundant in shrubs near town center. 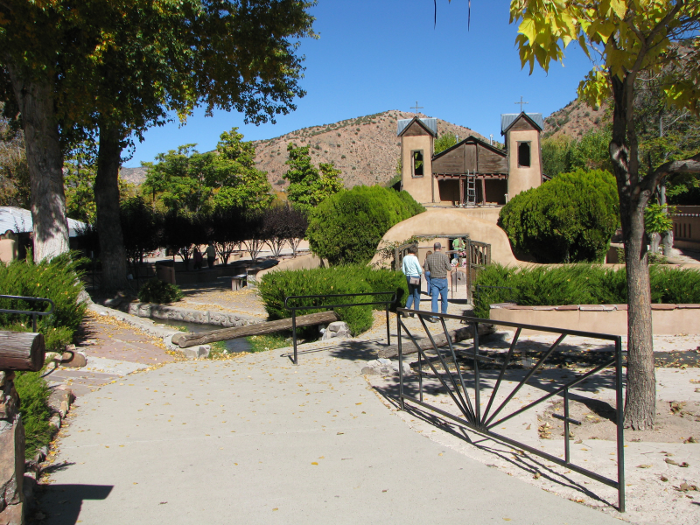 We took a day trip to Chimayo, New Mexico and visited the famous El Santuario de Chimayo church. 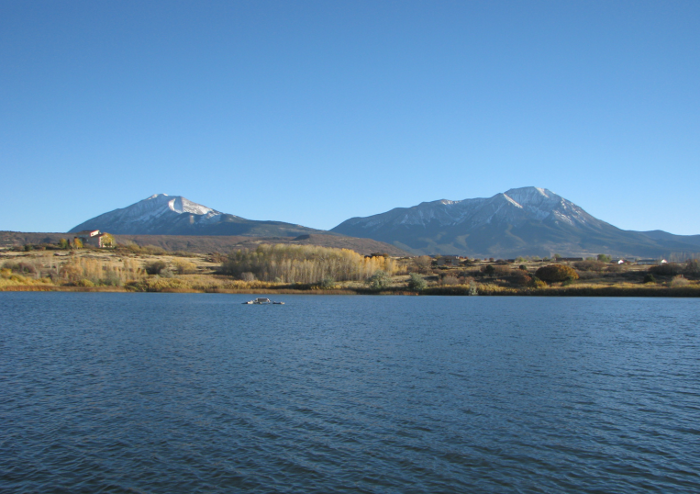 The trip to Colorado wouldn't be complete unless I was able to watch my father fly fishing in a nearby reservoir. Both of the Spanish Peaks are in the back ground. The next part of my trip took me to Washington state. 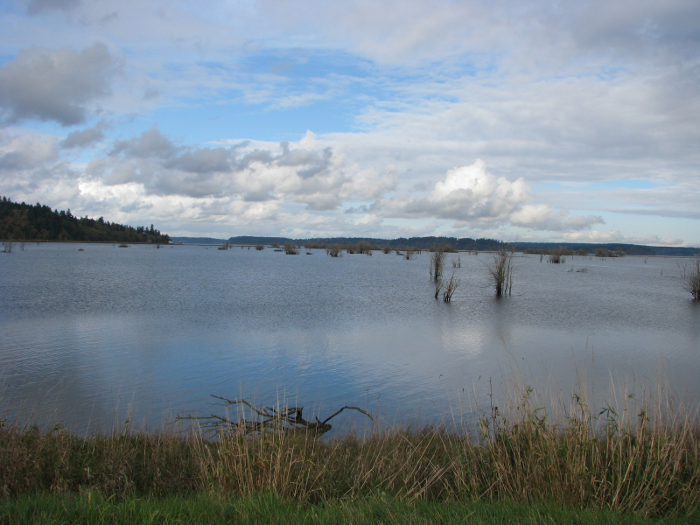 The weather cooperated for the day my friend and I went to the Nisqually Wildlife Refuge. This was the first time I visited the park and I was thrilled to see nature in such raw and beautiful form. 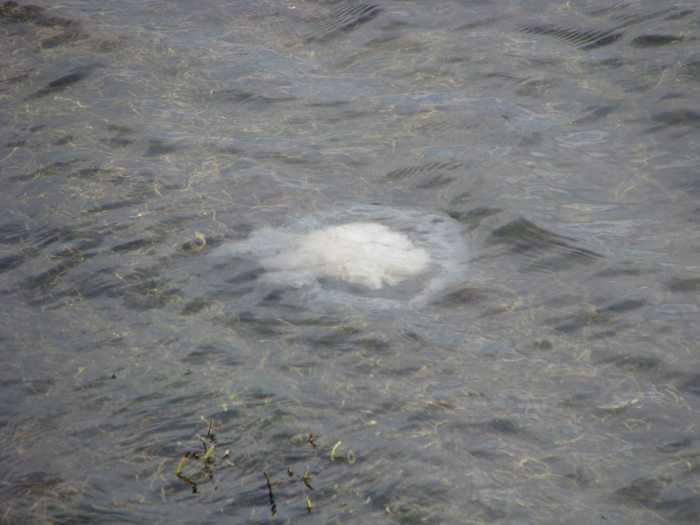 We spotted this rather large jellyfish in the shallow water off of the board walk. 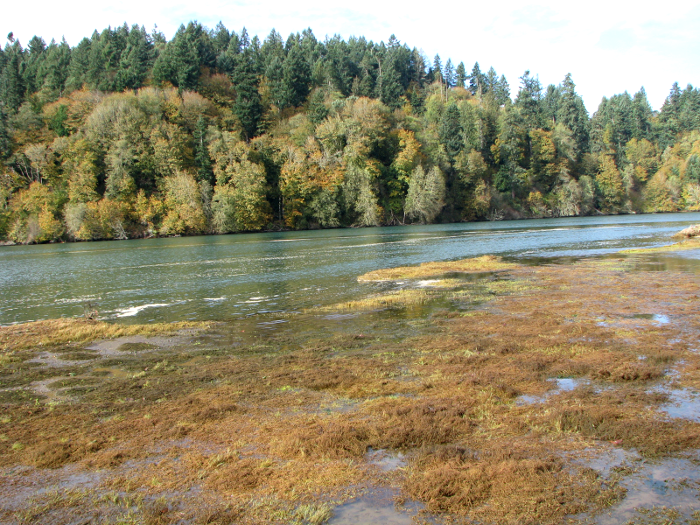 The outgoing tide began to reveal plants along the muddy shore. We saw thousands of birds that day at the refuge. I had a wonderful time visiting the states. Although nature didn't change much in six years, some changes in humanity were apparent. The most striking one for me was how fixated everyone seemed to be with their various electronic devices. Airports now have charging ports where there used to be phone booths. The touch screen is so abundant that I spotted a few people trying to encourage a screen with their finger, when in reality the screen they were trying to coax was of the older, mouse and keyboard operated style. I had a great time reconnecting with family and friends, that was definitely the best part of the trip.